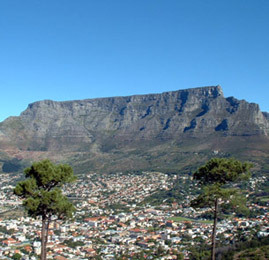 the most striking features of Cape Town's city. There's a cablecar that takes tourists to the top where there are gift shops and a restaurant. It's also possible to hike to the top. This is one thing you can see no matter where you are in the city!